0 We want the G&W! We want to thank you again for helping us reach our first goal of $50k given and pledged by January! We are overwhelmed with gratitude! But, you might be asking…WHAT’S NEXT? Well, let me share! As you may know, our Phase 2 campaign is a 2 year project. We have set ourselves some goals and we are thrilled to have you on the journey with us to reach those goals! We hope to reach our next goal of $150k raised and pledged by the end of July 2017. This includes the purchase of our amazing G&W building. With the purchase of the building behind us, we are able to go after other funding, such as grants! So, Billings, can you help us reach that next goal? Keep on the look out for all the ways you can support the Phase 2 project! But until then, you can jump on our website and donate! Whether it’s a monthly recurring gift of just $10 or a one time donation, you’ll make a difference and become part of an amazing story. The Art House experience is like no other experience in Billings! If you love Art House, we challenge you to share the love with someone this week. Treat them to a film! And if you haven’t experienced Art House yet, do yourself a favor and go! You won’t be disappointed. Grab a beer or glass of wine, some amazing popcorn, and enjoy a great film. OH! And, while you are there, check out our awesome DipJar! It’s the easiest way to donate to Phase 2! Simply ‘dip’ your debit/credit card in the DipJar and pat yourself on the back for giving to something huge! When we launched our Phase 2 capital campaign this past November, we set a goal. That goal was to raise $50k (pledged and given) by the end of January 2017. As crazy as this felt when we announced it, we always knew that Billings cares about film, art, and culture. And we are ecstatic to announce that we did it!! And it’s because of the amazing donors, like you! 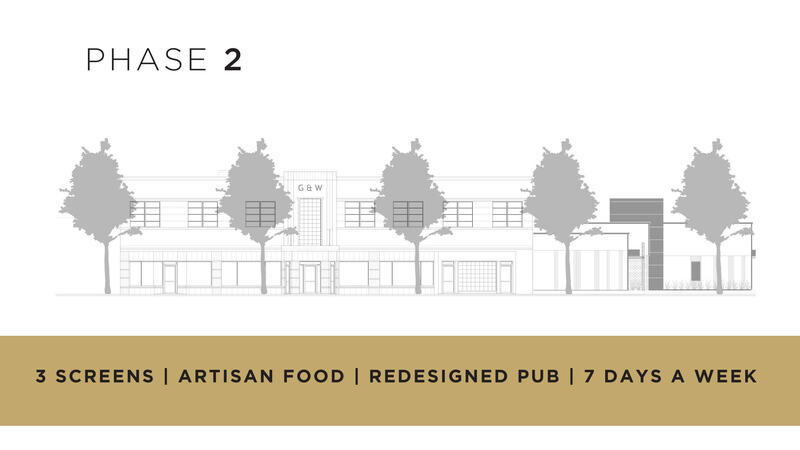 Phase 2 is a giant vision for us of raising the funds needed for our purchase of the building, and expanding our current operations. But this is just the beginning. We are so excited to be on this journey with our community and can’t wait to continue sharing more successes with you along the way. Thank you, thank you, thank you to those who gave and pledged! Please continue to share our story with friends and family. We know that you already love Art House and we want to share that love with others! Stay tuned for more updates, upcoming events, and news as we continue on this adventure! Thanks Billings!